Three Diaries, three times the fun! Diary 1: Ruben grows up on a farm, with pigs, horses, and chickens. He works at a construction company, but the appearance of certain animals makes him question his background. Is Ruben really destined to be more than what he is? A pig, a firefly, and an eagle reveal his true identity, his true home, and his true bloodline. His destiny awaits him. 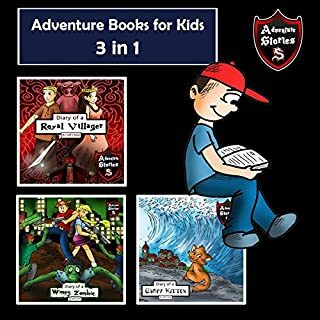 Find out in this child-friendly, adventurous story. A short and interesting story to listen to. I wish it was longer, the story was quite brief. It ended before I've noticed it, I would want to listen more. It was worth listening this audiobook and have many references which I enjoyed. 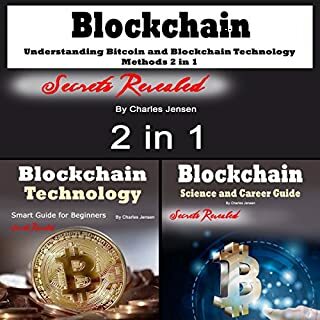 A two-book combo about blockchain technology. I choose to give this 5 stars because I knew nothing about the subject and after completion of the audio book I understand the concept, due to his anologies and illustrations. I started on this path after considering buying bit coins. Onward to an audio book on bit coins. Layla is a little different. She has purple hair, black clothes, and a gothic way of presenting herself. But underneath, her seemingly rebellious attitude is a soft heart, and a tender, caring young woman who works as a nurse, says no to drugs, and listens to old ladies in the hospital. But the events with the most impact on her life have yet to come, involving a decent young man who falls in love with her, a stubborn family, and a terrifying motorcycle accident. Will her teleporting powers help her find new meaning and purpose in life? The Gothic Girl is amazing! 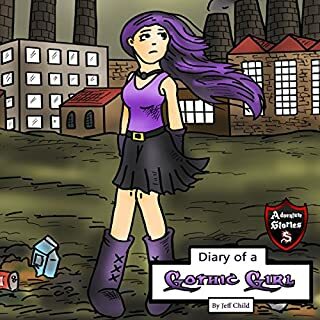 This story about the Gothic Girl is really amazing! I and my friends have listen this audio book for so many times because the story is so good, I cant get enough of it. I listen it everytime we go to travel and when I have spare time. I highly recommend this audio book! The teenagers are on a mission: They have to find life, other people who survived the zombie apocalypse. Strengthened by their weapons, the four friends go on a journey through the vast, empty landscape, and find supplies in villages to help them cope with the hordes. They each have their favorite weapon, and some of them kind of like each other in a more romantic way. 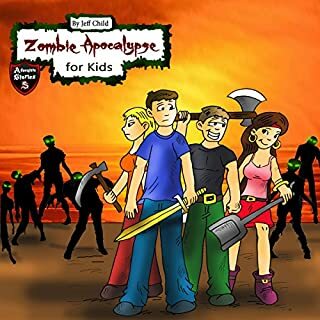 Listen about the great adventures of these young surviving heroes who withstand the zombies on the path to their destination. This audio book is very detailed and well-explained that's why I gave a 5 star review. Also, the story is awesome. Good for kids indeed! Recommended for beginners like me! 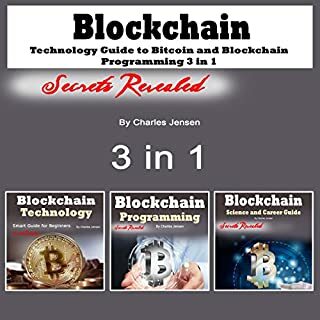 I'm glad I started with this book to learn about the history and basic principles of blockchain technology. 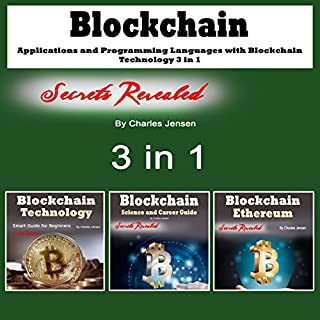 The author also goes deep into the possible applications of this technology and the current players out there innovating. 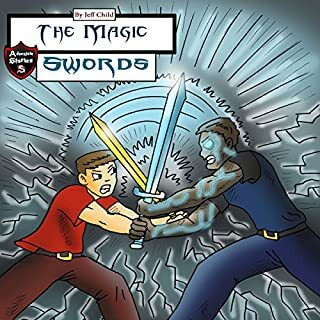 When Lucas and Ethan hear about two magical swords after a zombie fight, they set out on a journey and find the two objects. However, the magic doesn't seem to be the same for both. The diamond sword is completely different from the golden sword. One seems to be better, but isn't. Will they figure out what to do, even after a terrible argument? A quick story, this is perfect for bedtime. My children are so naughty. Instead of sleeping, they tend to play in their room until midnight, I need to wait for them to sleep before going out of their room, thats why I bought them this audiobook. Before the story ends, they are already asleep. Its really a good choice buying this audiobook. Dive into the complicated matter of analyzing and mining for data correctly. Forget about intuition or assumptions. Data are facts you can rely on if you draw the right conclusions. Drawing those conclusions requires certain skills, and a background in knowledge that leads to the proper steps. Explore the field of data science, and the way to analyze big and small data. 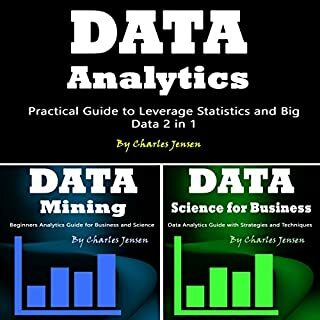 This technical audiobook goes over the main aspects of analyzing data correctly, by using various strategies you need to implement in order to get results that are precise and beneficial. Thoughtful and practical.Give me a new horizon in data visualization.I have my presentation an amazing progress. This is a nice set of books about blockchain. I learned from this book. I always wanted to learn about other methods of payments people use and this audio book was helpful in understanding the alternative methods. 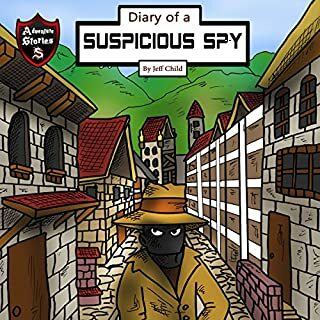 The spy in this diary has principles, but he is about to throw them all away for a change of mind. Codius discovers something fishy is going on in the hometown he grew up in. His commissioner is acting weird, and the top secret mission he is about to fulfill is questionable. Learn more about the dilemma Codius is facing in this quick and fun diary, written by himself. He will show you the background of the life of a spy, with all the secrets that go with it. It was my first time listening to mystery audiobook and I loved it. It was a pretty interesting story of a boy or man who had suspicion with the commissioner of his town. I love his spy skills and how he attempted to solve the problem. I learned bravery from this book which is really great. 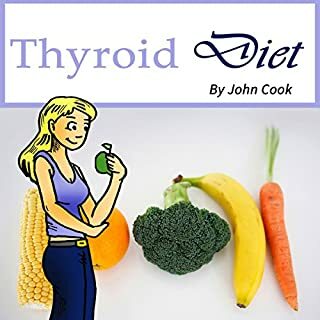 Are you having some issues and you are thinking the thyroid diet might be a good option for you? Well, things aren't as simple as they seem. It would be better to get all the knowledge you can about this topic, instead of diving in without knowing what you're doing. This book has helped me so much! This book has helped me so much in understanding my diet woos with hypothroidism. I am anxious to start my new diet using the guidelines outlined!